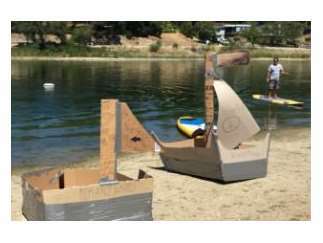 4th Annual LakeFest & Cardboard Boat Regatta. The Friends of Atascadero Lake are excited to invite you to the Central Coast's 4th Annual LakeFest, held on May 18th from 10:00 a.m. - 5:00 p.m. at Atascadero Lake Park. Activities for all ages starting with cardboard & duct tape boat races, canoe races, rubber ducky races and more. All proceeds benefit special projects for the Lake.